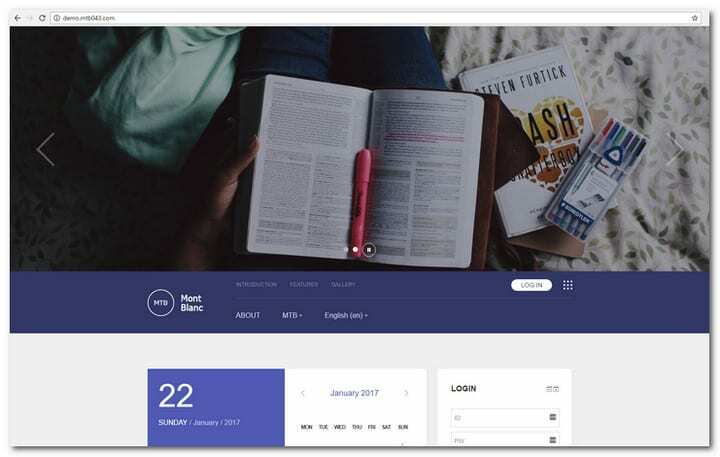 In this article, we showcase the best Moodle themes created or updated in 2017. Moodle is a popular open source learning management system for utilizing electronic education in a efficient way. Moodle is powering a lot of education websites around the world. Moodle is based on pedagogical principles and is used for distance education, blended learning, flipped classroom and other similar endeavors in universities, schools and workplaces. 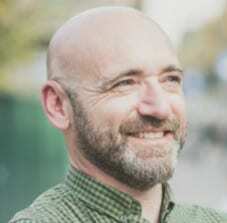 The Moodle Platform was first developed by Martin Dougiamas. The aim is to help educators set online courses with emphasis on collaborative content construction and interaction. The process evolves continually. The first version came out in August 20, 2002. At present, the project is supported by Moodle HQ, which is an Australian company composed of 30 developers. Financial support is provided by 60 Moodle Partner service companies, which is a global network. The development of Moodle has also been assisted by open source programmers. So how does it work? The Moodle front page or the page that you see from the browser typically has information on the business. It can be fully customized. It is also possible to lock down the front page. With this setup, the user will only see a login screen when he clicks on the Moodle URL. A user can join a Moodle website depending on the establishment that has given the login. He can make his own account or automatically sign in from another system. The basic structure of Moodle is based on courses. Essentially, it has areas or pages inside where teachers can present learning activities and resources to students. There are several layouts available. However, they come with some central sections that display materials and side blocks, which provide additional information or features. The courses that are presented in Moodle can contain studies for a year. They could also have one session or other variations depending on the institution or teacher. They can be shared by a group or used by a single teacher. Students may enroll on courses according to the requirements set by the establishment. They could enroll themselves or be enrolled automatically by admin. They can also be registered by their teachers manually. Courses are presented according to categories. For example, Science category might contain Biology, Physics, Chemistry and other similar courses. Once you are logged in, you can access different areas of Moodle like profile or courses through the Settings and Navigation blocks. These blocks contain information, the kind depending on the user role and admin granted privileges. Every user in Moodle has a customizable page, which can be accessed from Myhome link. A user does not enter Moodle with a “student” or “teacher” designation. No one has a special privilege until they are given particular roles by the admin. These privileges depend on the individual’s context or course requirements. Plugins allow users to extend the site features of Moodle users. Hundreds of Moodle plugins are available, with every plugin maintained from the Moodle Plugin Directory. For your graphical themes, there are some that can transform Moodle into awesomeness. A theme can be installed to customize the functionality and appearance of your Moodle website or individual course. 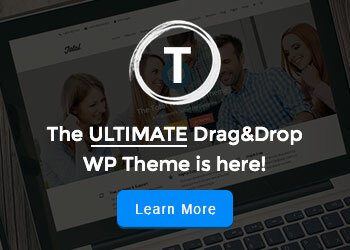 In this post, we concentrated on gathering the best Moodle themes for you. The 10 options we have presented below are the more perfect Moodle themes we can find on the internet. Mont Blanc is a popular Moodle theme. It comes with a lot of powerful features and a cool and neat design. The responsive design and easy UI settings will make your users smile. On top of that, it is easy to use with the 4 default color templates. You will enjoy the Front Page Image Slider, the Diverse Menu & Link Settings plus that it is RTL language compatible. 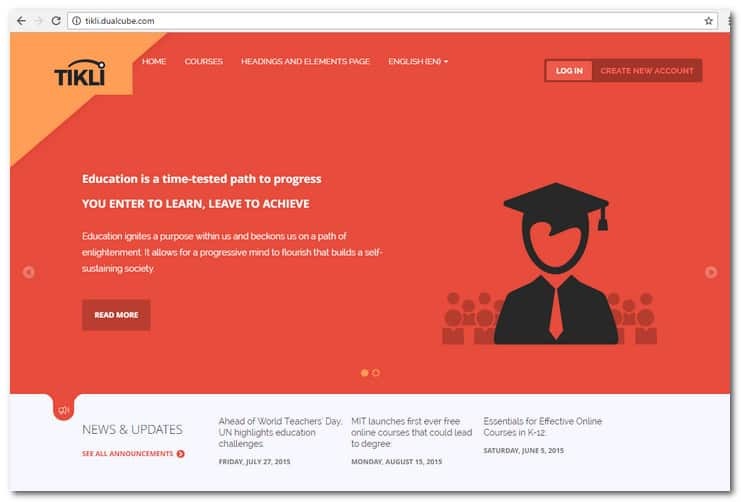 TIKLI responsive Moodle theme is a stunning design with a lot of great features. It is not designed to conform to the rigid restrictions of the Moodle framework. Instead it is incorporated with 3 logo options and a layer slider, unlimited fonts, Google Maps, unique login page and flexible Moodle blocks. Every page element of TIKLI has fully customized UI. It has an APP like ambiance to make it comfortable for mobile and tablet users. Menu items can be added through the settings panel. TIKLI is compatible with Moodle 2.7 to Moodle 3.0. It has a special front page and 5 color scheme sets. There are also 4 page layout options, unlimited fonts support. Font Awesome vector icons, RTL language support tinyMCE HTML editor, exclusive theme settings, Atto HTML editor, Google Map, featured content area, Contact Us form, animated jQuery number counter, 4 social media icons and cross browser compatibility. Aaika is an impressive Moodle theme with retina ready, responsive layout and a lot of useful features. It is suitable for businesses and corporate learning and for all kinds of educational institutions. If you want a modern design that doesn’t look like Moodle then check this them out. 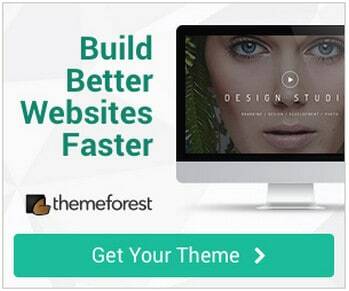 It is easy to customize and you can even use the build in marketing spots on the home page to attract new students. 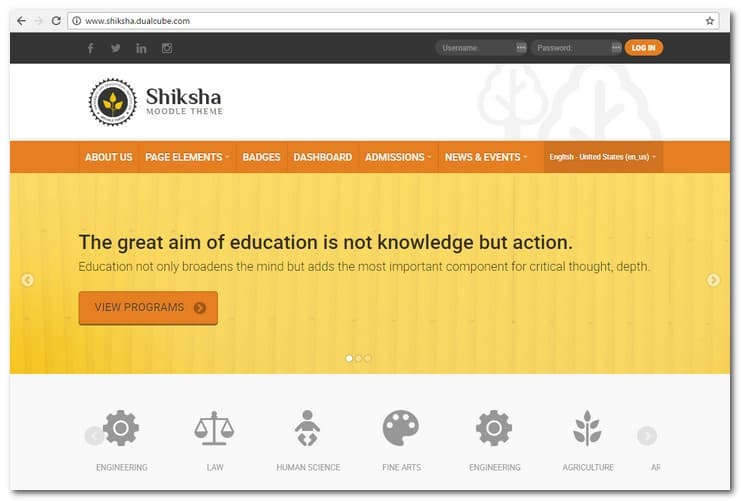 Shiksha is a Moodle theme that is fully responsive. It has a clean but fully featured design. Shiksha is compatible with Moodle versions 2. 7 to 3.0+. The theme has been made different from the stringent design restrictions which is a feature of the rigid Moodle framework. The front page has 16 sections that can all be customized. The customization can be done from the backend setting panel. Areas of customization include logo, pages and theme color. The usual Moodle theme does not allow customization from the settings panel. However in Shiksha, this feature is allowed. Shiksha features unlimited color options, highly customized UI, Favicon uploader, 3 kinds of logo updates, exclusive front page design, cross browser compatibility, Moodle theme settings default page, custom CSS option, Wow animation, 3 page layouts, unique background settings options, updates and news section, Moodle custom default menu, exclusive theme settings, customizable image uploader for all sizes and many more. 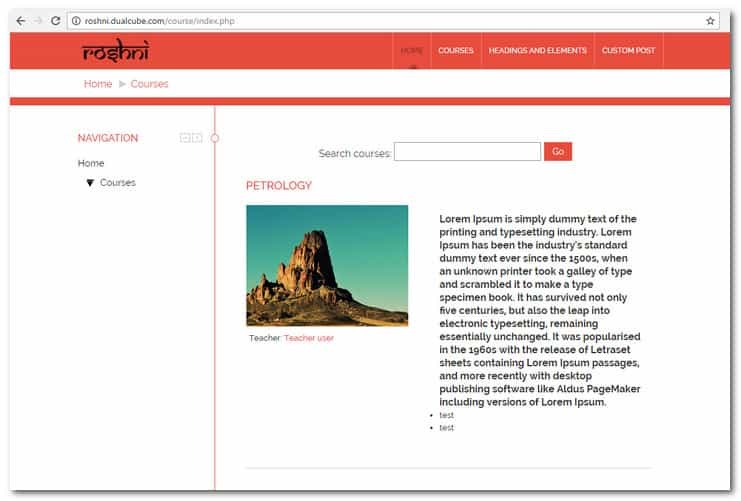 Roshni Moodle theme is fully responsive. It has plenty of great features to offer and is compatible with Moodle versions 2.7 to 3.0+. The Moodle framework is a rigid one but Roshni has been designed to break free from this bond. It has 11 front page sections that are customizable. Users may use this feature to customize or shuffle using the backend setting panel. It can also be used update, delete or add content. Roshni allows users to choose their preferred theme color using the color picker. They can have their own page design and select from 3 kinds of logo options. In addition, there are also 3 preset header options. Roshni Moodle theme also has a couple of sliders, unlimited fonts, flexible Moodle blocks, unique login page, Font Awesome support, Google Maps and other great features. 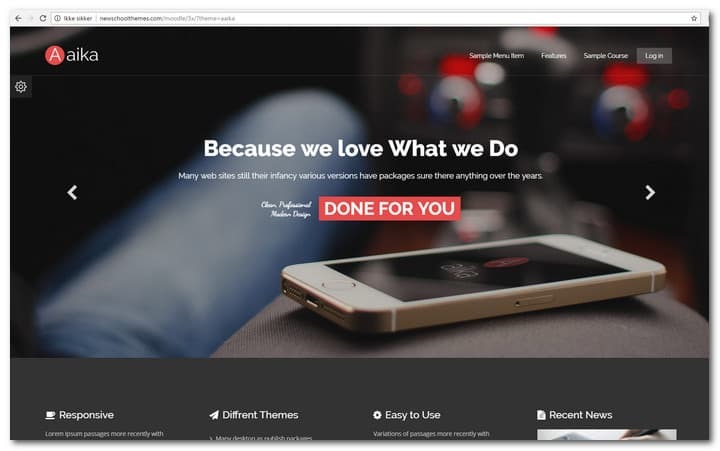 See the Roshni theme demo through the product link above. 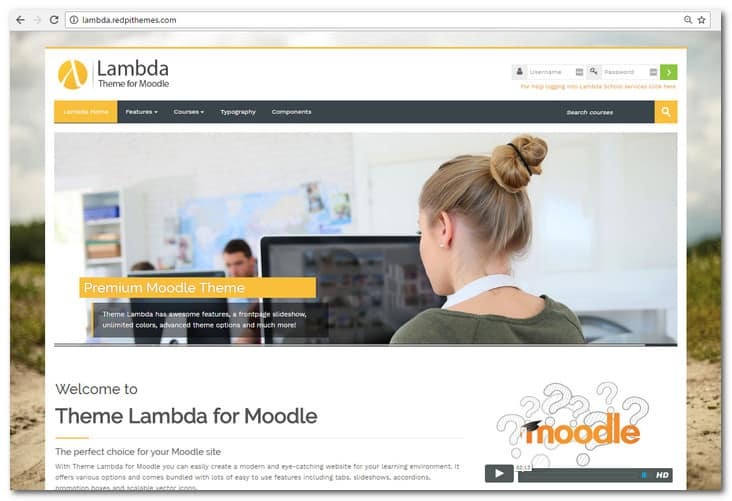 Lambda responsive Moodle theme allows users to create an attractive and modern learning website easily. It provides different options and is integrated with tons of great features that are all user friendly. 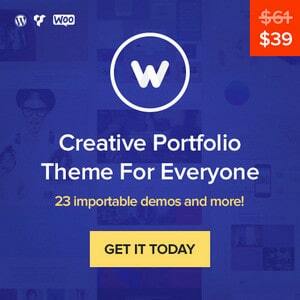 These include slideshows, tabs, promotion boxes, accordions and vector icons that are scalable. Lambda is a responsive theme so it will look great on all devices. 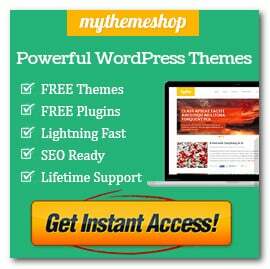 It is also updated regularly with new and better options to keep your site up to the challenge. 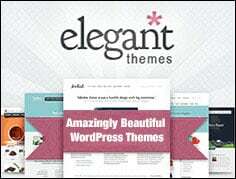 The latest version of this theme features an extra login link for creating new accounts. It can also be used for resetting lost passwords or guiding new users through the login process. The Moodle default login page for this theme is brand new. 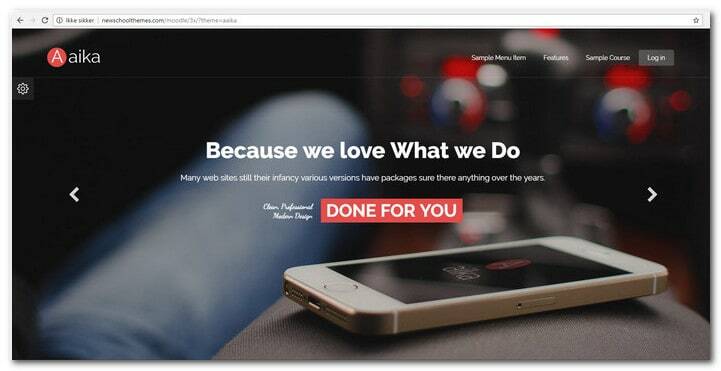 It has been made to be very appealing so you can use your login page as the landing page. Other features of Lambda include unlimited colors, fully customizable design, font selector, collapsible components, Frontpage carousel, Font Awesome vector icons and many more.